Do you plan to work in China? 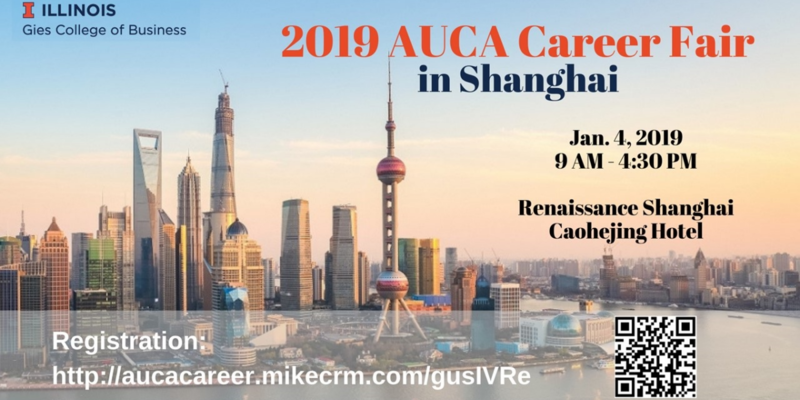 The 2019 American Universities’ China Association (AUCA) Winter Career Fair is hosted by China offices of four U.S. universities, including Illinois, and focuses on recent graduates and current students regardless of their nationalities. Registered attendees will receive additional information. This event is the first AUCA winter fair that provides positions not only for business students but also for engineering and technology-related students.